Dr. Giep joined Plano Internal Medicine Associates in 2003. Prior to this, he practiced as a hospital-based physician. He did his undergraduate work at Emory University in Atlanta where he graduated with highest honors. He completed medical school at the Medical University of South Carolina in Charleston and trained in Memphis at the University of Tennessee for residency. He is board certified in Internal Medicine, a specialty dealing in the medical treatment of adult illnesses. He has been voted among the best doctors in Dallas and Collin County by his peers in D magazine multiple times. He has been the clinical chairperson for the Diabetes Wellness Center at Presbyterian Hospital of Plano and has served on Presbyterian Plano’s Performance Improvement Council, Diversity Action Committee, and Credentials Committee. He is also a member of the Peer Review and Membership Committee for the Genesis Physicians Group. He is a member of the Dallas County Medical Association. His clinical interests also include disease prevention, hypertension and hypercholesterolemia. He has done numerous talks on the subjects of hypertension, diabetes, weight loss, diet and exercise. He has also served in the community by volunteering at the Collin County Adult Clinic and serving as a board member of the Plano Parks and Recreation Department. 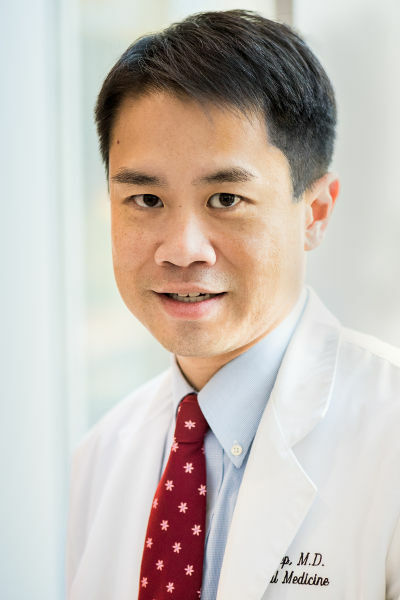 Dr. Giep was born in Saigon, Vietnam and grew up in South Carolina. Outside of work, he enjoys the outdoors and includes road biking, running, and hiking among his interests. He has hiked on six continents. He has participated in many races including the White Rock Marathon, the Race for the Cure, Hotter ‘n Hell 100, MS 150, and in the process, also raised money for the Leukemia and Lymphoma Society, multiple sclerosis, Save the Children, and the Susan G. Komen Foundation. He also enjoys food, travel, and Pittsburgh Steelers football. For more information about Dr. Giep’s practice, please visit his website: planomd.com. He can also be contacted at giepoffice@planomd.com.